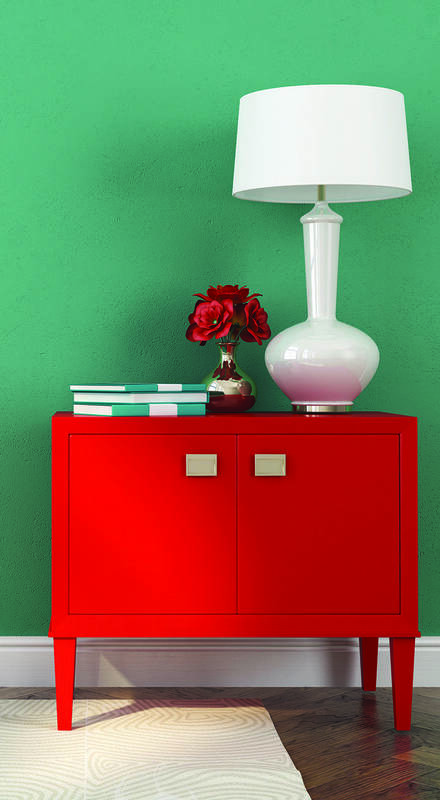 Do you have the urge to add some colour to your living spaces, but feel just a little bit timid about how bold to go? YAM shares designer tips to take the stress out of choosing and coordinating colours — and we give you permission to break those outdated rules that say beige is best. For too long now, we’ve fallen into the paradigm of the neutral house, with neutral walls, neutral furnishings, and neutral accessories. Somehow we were indoctrinated with the idea that unless we plan to grow old in our home, we should avoid painting our space with bold, personality-defining colours. It’s all about resale, resale, resale! But here’s a news flash: your home is just that — your home. So make it a place that comforts and inspires you, where you can use any colours you like. As long as the colours you choose are applied in a tasteful, balanced way, the result can be a hundred times more effective for resale. Even if you and the new owner don’t share favourite colours, you’ll have sparked inspiration as to what is possible. 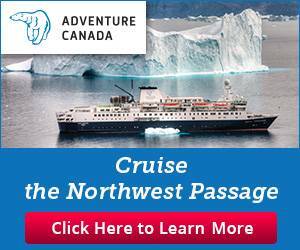 So go ahead and be a tastemaker! Just the task of choosing the right combination of colours with the correct undertones and balancing them throughout your rooms can make your head spin. If you know what you like but are having trouble putting it together, advice from a professional can save you the frustration. It’s invaluable to find a designer who understands both your sense of style and your personality. For those of you who can’t wait to get your hands dirty, here are some guidelines to help deconstruct the complexities of selecting colours for your home. 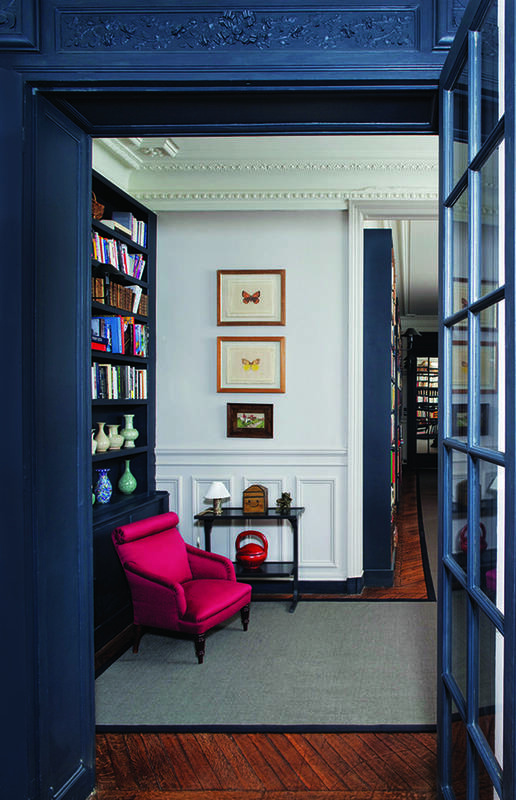 If you’re choosing colours for your whole house, start with the main and/or largest room. It’s important to have your colour scheme flow throughout the home. Visit a paint store and select colour chips for all of the colours to which you naturally gravitate. If you’re overwhelmed, look to the colour of clothing you generally wear. What colours do you look good in? If that chartreuse blouse makes you look ill, don’t consider painting your walls in that colour. Other places you can look to for inspiration include patterned area rugs, favourite fabrics, or a piece of art. Create a colour scheme to fit your favourite particular feature piece. Narrow down your colour selections by deciding which colours you want to be your main, secondary, and accent colours. (Note that your choices may also include grey, beige, black, and white). 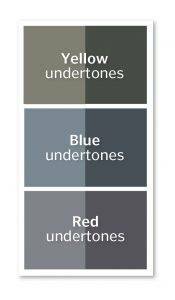 Undertones are important when choosing your paint, but it can be tricky to figure out what a colour’s undertone actually is. For example, you might find yourself asking, “Will this grey look too blue or purple in the space?” To help determine the undertone, compare all your grey options side by side. In doing so, it will become apparent what the undertones are and which you like best. The importance of balance really comes into play when deciding where you want to apply colours. First, consider that dark, bold, or saturated colours have a heavy visual weight, whereas light colours carry much less visual weight. Second, think about the scale at which you want to apply your colours. 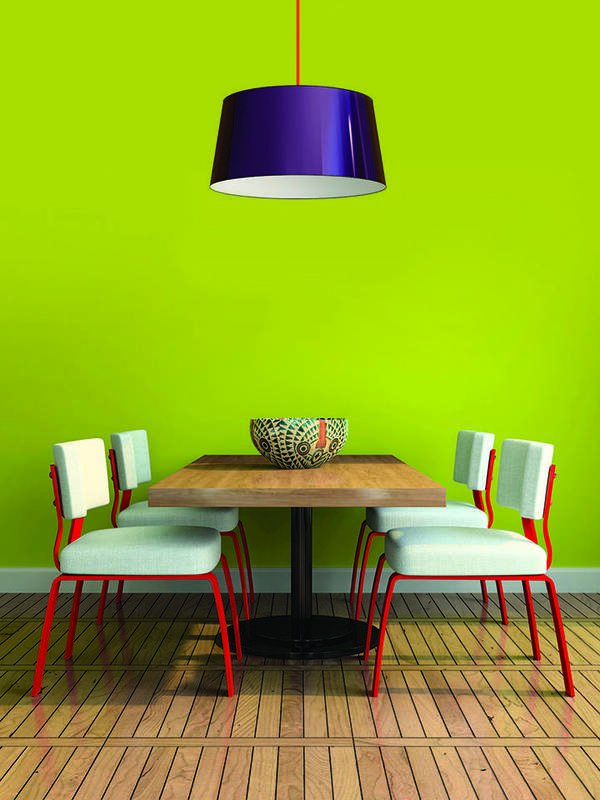 Applying your boldest colour to walls, furniture, or accessories will have varying degrees of effectiveness due to the scale at which they are applied. Third, consider the colours in the adjacent rooms and what effect these colours have on each other. In a house with great flow, there should be a unifying colour that leads you from space to space. Think about using patterns on your furnishings that contain colours that visually connect the rooms. Or, if you’ve colour-blocked one space in your house, consider ways you can add little glimpses of that colour as an accent into your other rooms. If the colour chips provided by the paint store aren’t large enough to give you an idea of how a colour will look in your home, purchase the smallest available container and paint a section of wall or a large poster board. At the very least, take your paint chips and lay them out together on a blank white piece of paper. If the colours don’t look quite right together, consider alternatives with slightly different undertones. Above all, it’s essential that you view your chosen colour samples in their dedicated space, under the influence of the room’s lighting and furnishings. 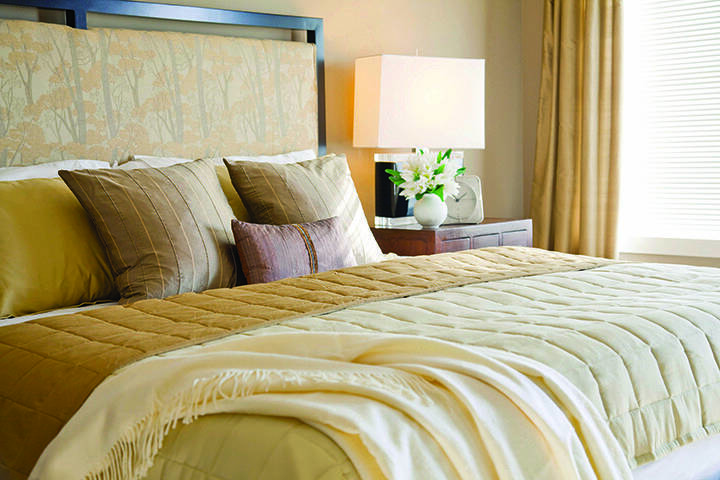 Choose monochromatic colours if you are looking for a subtle, soothing colour scheme. This means selecting colours that are varying values and saturations of the same hue. Don’t be afraid to add in occasional pops of bold colour or unexpected texture to keep the eye engaged. When considering what type of mood you want to evoke with colour, you’ll also need to think about the kind of lighting in your rooms. Dark colours absorb more light than light ones, so if you want a fresh bright room and you don’t have a lot of natural or interior lighting, don’t select a dark or bold colour. Keep your walls and main furnishings light and leave the more saturated colours to the accessories. Even a moodier, intimate space that calls for deeper colours needs to have appropriate lighting. Keep in mind that each type of lighting will cause your colours to appear differently. Natural daylight will bring out true colour, incandescent light will cast a warm glow and, conversely, fluorescent light will cast a cool, bluish light. Choose analogous colours if you want a scheme that is serene, harmonious, and pleasing to the eye. You can find many instances of analogous colour groupings in nature: Trees in all shades of green set against the blue sky, or a sunset that illuminates the horizon in hues of red, orange, and yellow. Analogous colours are located adjacent to each other on the colour wheel, and include warm colours (red, yellow, orange) and cool colours (blue, green, purple). More often than not, interior colour schemes will combine colours on one side of the color wheel — all cool or all warm — to create interior spaces that seduce the eye. If, for instance, you want fresh, coastal colours, you may use a combination of blues and greens. If you want fiery boldness, choose a combination of reds and oranges. TIP: If you want to add a little more contrast in your analogous colour scheme, try adding an adjacent colour that cools down your warm scheme, or conversely, warms up your cool scheme. For example, if you are using cool greens and blues in your bedroom and want a little contrast, introduce a few warm yellow accents. 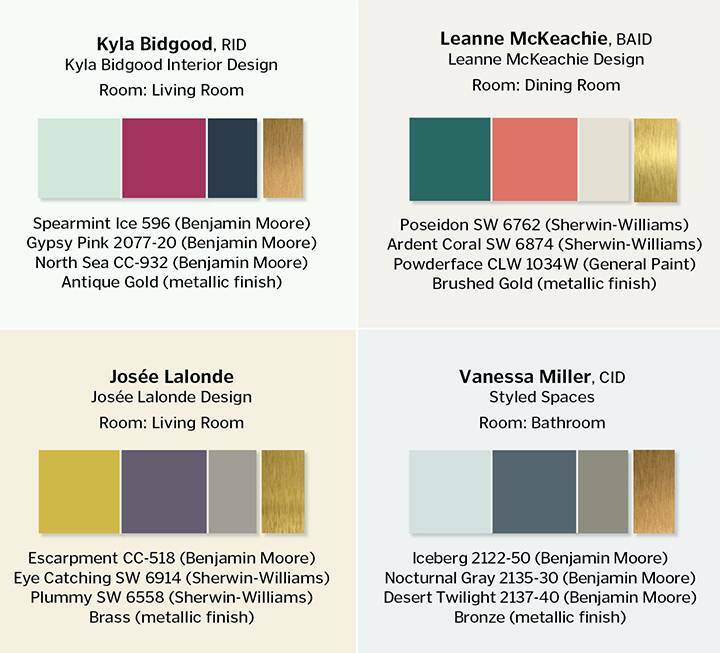 Now that we’ve broken down the colour selection process into some simple steps, go and play! Just as with anything you want to master, practice, practice, practice. Get familiar with the colour wheel and colour terminology to give yourself a solid foundation. Then search your life for inspiration. Picking colours is like selecting which foods to eat. Choose colours you know will fit your unique tastes, leave you feeling satisfied, and keep you coming back for more. When inspiration, personality, and balance come together in colourful harmony, you’ll just know you’ve nailed it!